London, 6 April 2010 – One of the Internet gambling industry’s most respected pioneer software companies, Boss Media, was this week awarded the eCOGRA software certification following a rigorous on-site review. Boss Media operates the International Poker Network and numbers some of the industry’s top companies among its software licensees, including Bwin, Sportingbet, Svenskaspel and Bet-At-Home. 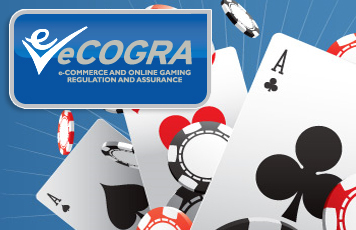 Several of its licensees are members of the influential European Betting and Gaming Association, with which eCOGRA has strong professional ties. The eCOGRA review was conducted by compliance manager Bradley Khoury, a Chartered Accountant and Information Systems Auditor, who travelled to Växjö to carry out a comprehensive review of systems and software over several days in order to test for compliance with the industry best practice standards required by eCOGRA’s eGAP regime. Commenting on the review of Boss Media’s online casino and poker software, Khoury said that he had received full cooperation from Process Manager Tom Svalaklev and his department. “Our achievement in meeting eCOGRA’s demanding software certification standards reaffirms that commitment and provides us with a useful and internationally accepted benchmark against which we can measure our performance,” he said. Founded in 1996 by Swedish entrepreneur Joel Wikell in Växjö, Sweden, Boss Media was built by players for players, and was at one time both a software provider and operator of the Gold Club Casino.com – since sold. The company therefore has a rounded experience in the online gambling industry and is today respected for its top quality software in the online casino, poker, interactive video terminal, lottery and bingo sectors, where it powers the International Poker Network and some of the industry’s top companies. In 1999 the company was listed on the Stockholm Stock Exchange, subsequently moving to the OMX Nordic Stock Exchange. Boss Media was acquired by GEMed, a consortium of Lottomatica GTECH and Medströms, in 2008 and is now a member of the GTECHG2 group, along with sister companies Finsoft, Dynamite Idea and St Minver.